Restrictions: Car must be newer than 2010. Less than 50k miles. If it’s something crazy, it should have a warranty. I want to see what you come up with. In all honesty, this is my choice. 2012 Regal Turbo. It has 38k miles and they are only asking $15,550. Plus, CPO warranty. 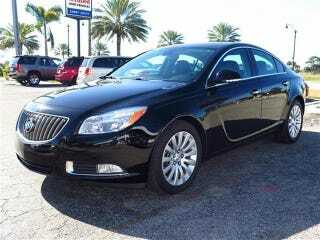 Black on black with a sunroof, heated seats, parking sensors, dual zone climate control, and Buick Intellink.